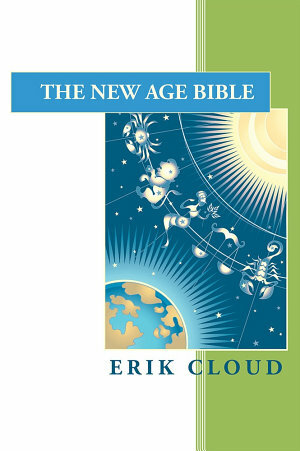 This magical literature full of religious logic, metaphysical common sense, and supernatural wisdom has given way to a new astrological star chart reading fashioned formidably from a keyed up individual's molded mind, body, and soul all the while exposed to everyday occurrences such as light and dark, positive and negative, genetics and environment, ECT. Th e key used for utility coded in our modern day western zodiac, four basic elements, and three states confronts many everyday problems such as health, money, love, and self-defense in an importable composition for all to use. Can modern day literature do what the literature from our past has done? Th e overall Biblical character and feel consisting of many numbers combined with letters is very similar to our current Holy Scriptures and is here to help with economic and weather conditions. Th is coupled with scientifi c prediction in cognition helping to understand the immediate present by reviewing our past history by providing eff ective future caliber predictions on both micro and macro levels in our lifetimes through the areoles of time in universal form lending to Ages similar to time travel. Could philosophical genius occult practices be construed and accepted as more than dogmatic science fi ction and/or fantasy and on to fashioned fi ndings from omnipresent God and science itself? Why not let your qualities defi ne you whatever they are? A higher state of conciseness would be the calling on to uncharted places indeed! On to a more mentally focused atmosphere as opposed to the current physical realms is where the book takes us through its profound knowledge providing for a real time utopia! Th e precision of 1 and 365 odds (even more when factored with the eastern zodiac) combined with the generality of 365 to 1 is very enticing existing in a perfect state laying somewhere in the zodiac's twelve star signs using an ark key for utility coded within the four elements and three states! It makes us rethink all that we have learned in our educations rounding conspiracy theory by placing accepted God as more of a common factored force while not too sexual, accidental, and humane! Erik being introvert and extrovert leaded to his prophetic vision which needs no license lying fi rmly in the realms of extra sensory perception (ESP), telekinesis, psychic, ECT. Genetics not environment is the direction to which he subscribes mostly. Limited public education, church experience, little to no traveling, and some martial arts training helped him in his progress to some extent. He has had a natural desire to understand the way things work on a chemical level. Autobiographical aspects of this epic poem provide the overall about the author as epic poem narrator.